Former President Olusegun Obasanjo has raised the alarm that Nigeria was more divided and in danger over the current state of disunity in the country. Obasanjo said the country was in a worse situation at the moment when compared to the period of the civil war. The former President stated this on Thursday while speaking at a one-day 2019 annual retreat/conference and general meeting of members of Association of Chief Audit Executives of Banks in Nigeria held in Abeokuta. Obasanjo who was a guest speaker, spoke on five Ps. He hinged his talk on ‘Politics; Population; Prosperity; Protection and Partnership.’ He said, “As chief audit executives, it is defined by virtue of what you are doing as a profession. If the audit is awry, banking business will not be right. “What I want to emphasise is that, it is a must as Nigerians and as Africans, that we have certain elements that we have to take very seriously which I put as five Ps. “The first is politics which is governance. Unless we get governance right, any other thing we are trying to do will not be right. “The second is population. Our population at independence, we were estimated to be 45 million; but today, we are 200 million. “By the year 2050, we will be over 400 million. Normally, population should be an asset, but looking at the condition we are in now, when in the North-East of Nigeria, the percentage of adult literacy is about 53 per cent. You can see that we have a problem and education is basic in all human development. “How do we think of making education to be useful? Those people who will make our population over 400 million in years time are already born and you cannot unborn them. So, the problem is here, what do we do? 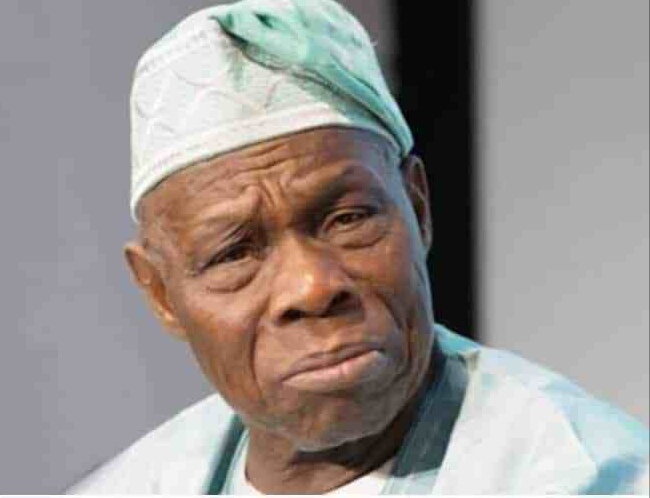 “We must provide education for them, housing, healthcare, education for them, and more importantly, employment for them.” Speaking on the prospect of agriculture, Obasanjo said, “One thing that I believe will help us is to provide employment, and probably part of what will help us is agric business. “And you in the banking business must pay attention to how we build the agric sector. “I am not talking of horticulture, I am talking of the whole value chain, from land preparation. “And if we are able to get that right, maybe we will be able to get the issue of employment for our teeming youths right, we will be able to get even the issue of rural development right, we will be able to get the issue of the gap between the have and the have not right. “The next one is prosperity. I am not being bothered about Nigeria’s poverty or Africa poverty. We have everything to generate wealth. We have God’s given resources under our soil. We also have human resources. If we bring these together, then, we will definitely get prosperity.